Join in this innovative and fun project. 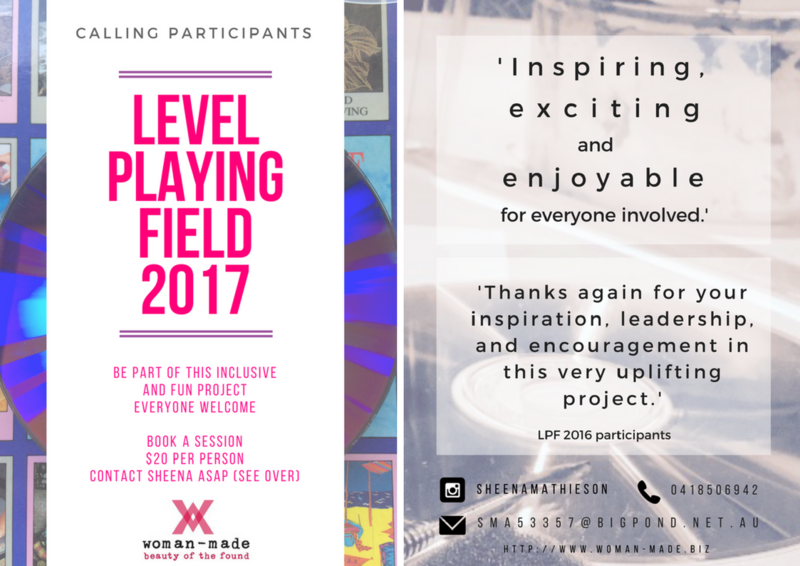 Level Playing Field involves 100-200 people of all abilities, each creating a unique artwork in a range of group settings facilitated by me and my band of helpers. For just $20 per person, create a unique artwork from scratch, using identical techniques and materials - a level playing field. Your artwork will then be exhibited in July 2017 at the beautiful Stephen McLaughlan Gallery in the city. To get an idea about what is involved in this project have a look at the You Tube video from last year - similar rules but a different process used.